Coming Home represents interior and textile products where the common denominator is a good feeling for shape, color and joy. Coming Home is a proud Norwegian company, located at Klepp station outside Stavanger. The idea is to offer the Norwegian market simple and beautiful things to the home without a fierce price tag. All products are handpicked by Coming Home. They work with two collections every year and always try to find something exciting. They cooperate with reputable manufacturers in the East, and through this collaboration, their product dreams come true. Cooee Design was established in 2005, with their roots in the deep woods in the South of Sweden. Cooee Design is a family business with design knowledge going all the way back to the 50’s where Catrine Åbergs grandfather and his brother, Martin Åberg worked with innovations and design. For instance they designed an iconic paper bin in wood, that was sold to all the hotel rooms at SAS Hotel in Copenhagen that Arne Jacobsen had designed. The paper bin is still in the room 606, which still looks exactly like all rooms did back then. The company is run by three playful siblings – Rikke Juhl Jensen, Gitte Juhl Capel, and Klaus Juhl Pedersen.They all share a creative gene and a belief in the fact that beautiful interiors enhance your passion for life. The family trio ran a successful industrial design business for a few years.But ideas for new products quickly started to emerge and in 2001 House Doctor was born. For many years Kelly Hoppen dreamed of designing her own range of wonderful products for the home to maximise that feeling of contentment.Finally, she did it and is so excited to share it with us. The culmination of years of experience and of knowing what works well, Kelly hope’s you agree that the first collection of beautiful luxury products and helpful advice will inspire you and give you the confidence to create the home of your dreams. You don’t need to copy her style, Kelly just wants to show you what works and then encourage you to create your own vision. Present Time is an international operating company based in Almere, The Netherlands, with a widespread brand portfolio and 30 years of experience in accessories, gift items, clocks, small furniture and lighting. And after all those years, still not bored of design. On the contrary, they are always seeking for new designs and creative designers who can enlighten them with their ideas.Refreshing ideas to keep their collections original and creative. They are always aware of how much design talent there is in the world and are a company who likes to capture as much of that as possible. 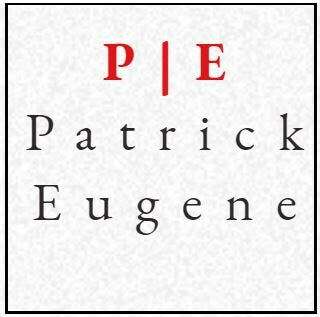 An emerging force in abstract expressionism, Haitian American painter, Patrick Eugène (b. 1984) challenges the social, cultural and societal expectations placed on and held by his contemporaries. Eugène’s work has been featured amongst the most promising new pioneers in contemporary art, garnering the praise of both critics and esteemed collectors. Eugène’s work challenges the truncated nature of popular culture. His canvases are rich in color and emotion. His work encourages the viewer to reconsider the urge to abbreviate and to instead dig deeper. Eugene is determined to peel back the complicated, but often-condensed, layers of the issues facing his generation today. The deeply layered composition, vibrant color, and rich texture of his paintings all reflect the multilayered subtext of these issues. Capturing the complex joys, anxieties and confusion of coming of age in New York City, Eugène’s work harkens back to a time before emotions were most often abbreviated into social media’s hashtags and brief status updates. Viewers are spurred to consider their own abridgement of popular culture, to consider their own participation in the compulsory limitation of their own emotions and experiences and to look closer at each of the conditions presented in Eugène’s work. Eugène continues to produce work that elucidates his generation’s struggle to express itself within the confines of a social media dominated culture and ever increasing demands for instantaneous communication. 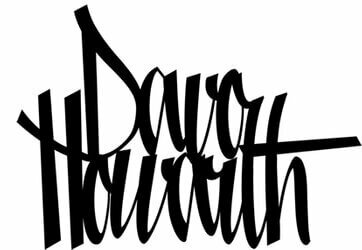 David Howarth, most commonly known as Davo, is an up and coming artist from Manchester and has been painting since he dropped out of college 10 years ago. Since then he has worked hard to gain a loyal following on social media, including some high profile celebrities! Flloyd Mayweather, Chris Brown & Justin Bieber to name a few. Davo specialise’s in Portraiture but loves trying his hand at, well pretty much anything. He pride’s himself on versatility, wether it be painting an abstract Ape, to creating instalations using random materials he stumbles across through day to day life. Regardless to what is painted his use of colur tends to remain very uniform. Davo loves using monochrome tones with subtle hints of colour to add an explosive edge to his work. 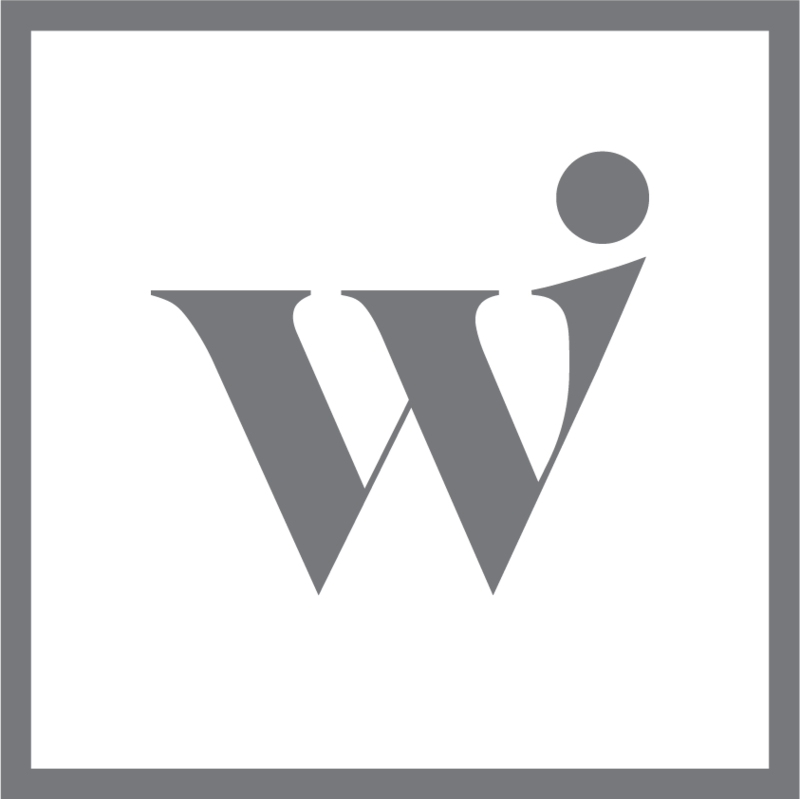 The Libra Company; designers, importers and wholesalers of one of the largest and most diverse collections of interior design accessories, homeware, giftware, lighting, furniture and wall décor in Europe. Established as a Gift and Interiors Wholesaler in 1972, Libra is proud to serve independent retailers, select department stores, interior designers and garden centres. Their strengths lie in their core values: quality, innovation and service. 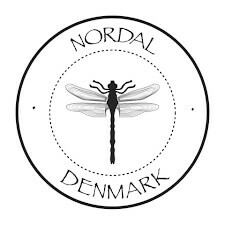 Nordal is a family-driven interior design business with 30 employees and retailers in most of Europe and in the US. With an eye for detail and function, the Nordal team hand-picks products that add character and personality to the interior décor of the home. With a joint passion for colours, shapes and aesthetics, the three siblings Signe Nordal Madsen, Mads Nordal Petersen and Emil Nordal runs the Nordal company, which was founded by their father in 1991. At Lene Bjerre they have a history of merging handicrafts with design, and trends with tradition. They take pride in letting nature into our lives, and in creating rooms to live in. Rooms that reflect personalities, and let personalities have a base from which to engage in vibrant conversations, lovely dinner parties, candle lit nights and the everyday hustle and bustle that is life. Life is lived with people and when people gather, rooms are turned into homes. At Lene Bjerre, they travel the world for inspiration, finding it in objects used by people, in culture, in nature, and in techniques. Some might say Lene Bjerre merges current trends with the classic Scandinavian feel because of the light that surrounds them. They say they do it because of the people: The dedicated, creative and talented people of the company, and the people who want to live in beautiful rooms, sharing them with people they love. At Lene Bjerre, they create rooms to live in. Kaerlig Beauty products come from a direct result of Amy Alexander’s experience with breast cancer. Diagnosed with an aggressive cancer she intended to focus on all things positive in life, family, friends, exercise, health and skin-care. Amy originally turned to soap making because chemotherapy and radiotherapy left her skin dreadfully dry and unable to use ordinary cleansing products. This was where the Naked range of soap was born. 3 years later Amy feels extremely lucky to be here and delighted to expand her range of hand made soap and lotions. Now with 5 scents in her beautiful liquid soap and 2 scents in the silk hand and body lotion. All of which is being expanded as we speak. Kaerlig is Danish for loving and caring. 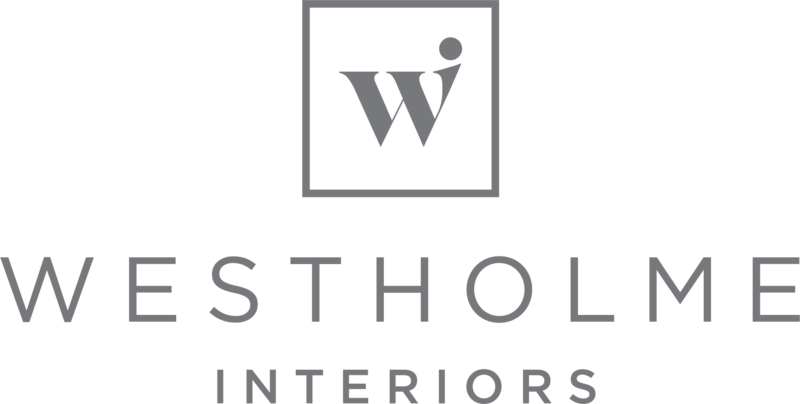 We at Westholme Interiors were blown away by this inspirational woman, her story, her ambition and importantly the product. The packaging and scents available in the range are beautifully designed and fit so well with our ever growing scandi/nordic range. In the market for stylish bathroom accessories we are delighted to launch this wide scented range of liquid soap and silk lotions, which are super stylish and environmentally friendly with their refillable products.